Here's a giveaway with four prizes and includes mention of a Twitter party on Friday. Don't miss the party and enter to win the giveaway. Open to US residents only, ending 4/2. Good luck. Hypoallernenic - Durable for 1500+ washes. Eco-Friendly , so cost-effective.Reduce drying time by 30-40%- saving you time, money and the environment. Helps ease the pain and prevent shin splints, varicose veins and swelling. If sedentary, immobile, travelling or commuting a lot, these help keep circulation flowing to avoid DVT and clots. Trim to fit your favorite shoes perfectly- can go in any shoe or boot. 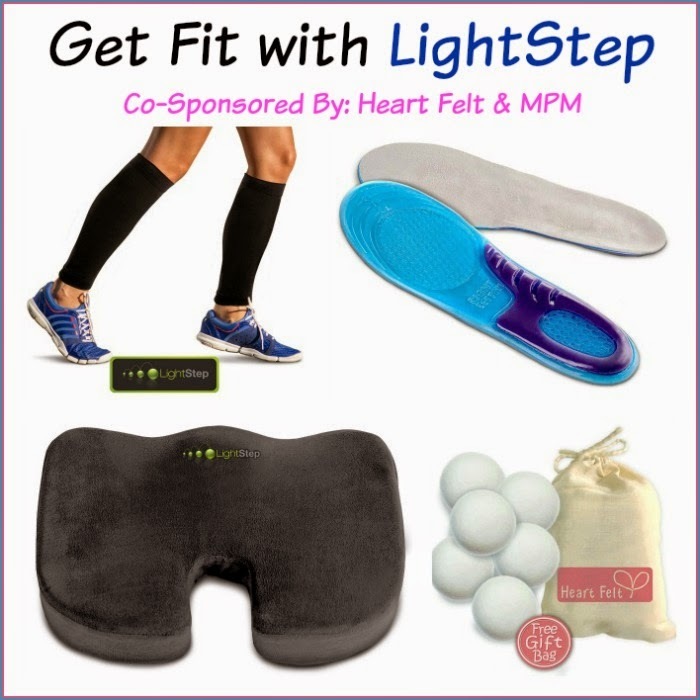 Support for heel and heavy duty shock absorption across the foot helps reduce fatigue and prevent injury. Designed for Women, this insole is lightweight and helps align ankles, knees and hips to reduce strain and injury risk. Medical grade foam for OPTIMAL back support. Correct alignment means less aches and pains! Ideal for sciatica, haemorrhoids, lower back pain as your hips and lumbar region are perfectly positions on the chair. Excellent for arthritis. Many pregnant women find it helps lower back pain. It's very versatile:Ideal for desk, office, wheelchair cushion, plane or other travel, car seat cushion, church pew and more. Soft grey washable cover is perfect on any style of chair. Takes pressure of coccyx and tailbone. Also improves posture and circulation to limbs so many health benefits to sedentary workers and the elderly. 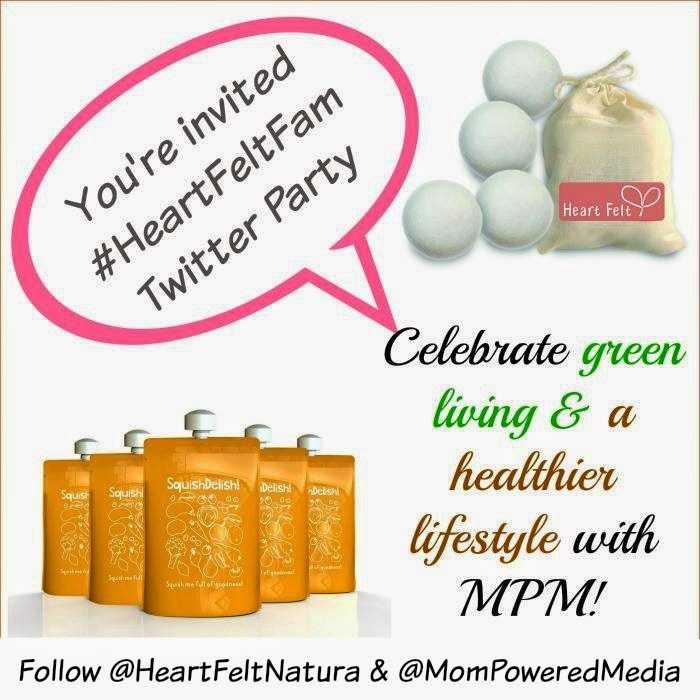 Join us for a #HeartFeltFam Twitter Party to celebrate green, healthy living with Heart Felt Naturals and MPM!